Apparently not content with my time traveling research, a comment posted the other day asked the delightfully intriguing question of: “If you could travel back in time what are the five top things you’d want to check out in the field?”. Wow, and cool! 1. The origin of flight in birds. OK this is almost a cliche, but this is well within the reals of my research and I really would love to see how those first gliders / parachuters / protobirds got going and where they started from (up or down) and if there really were multiple origins of powered flight in different lineages. 2. 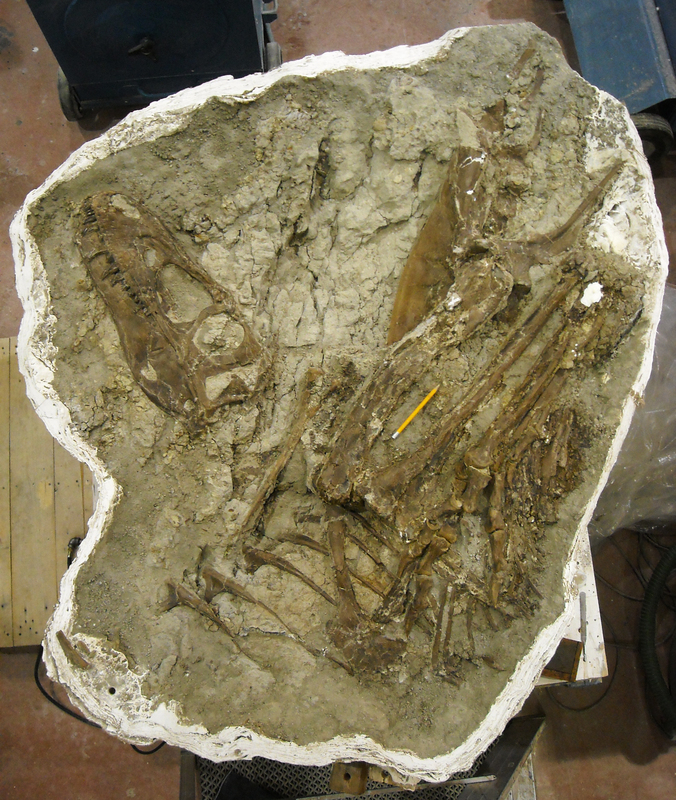 The predation habits of theropods in the Kem Kem. I’m picking this specifically because it’s (possibly) a weird ecosystem but more importantly I could get to see a nice big range of different taxa all together and look at their ecological partitioning and exactly what they hunted and scavenged and how (the juveniles, obviously!). 3. Just a general visit to the Jehol biota. I really want to see a proper, functioning, diverse, dinosaurina ecosystem and this has everything. 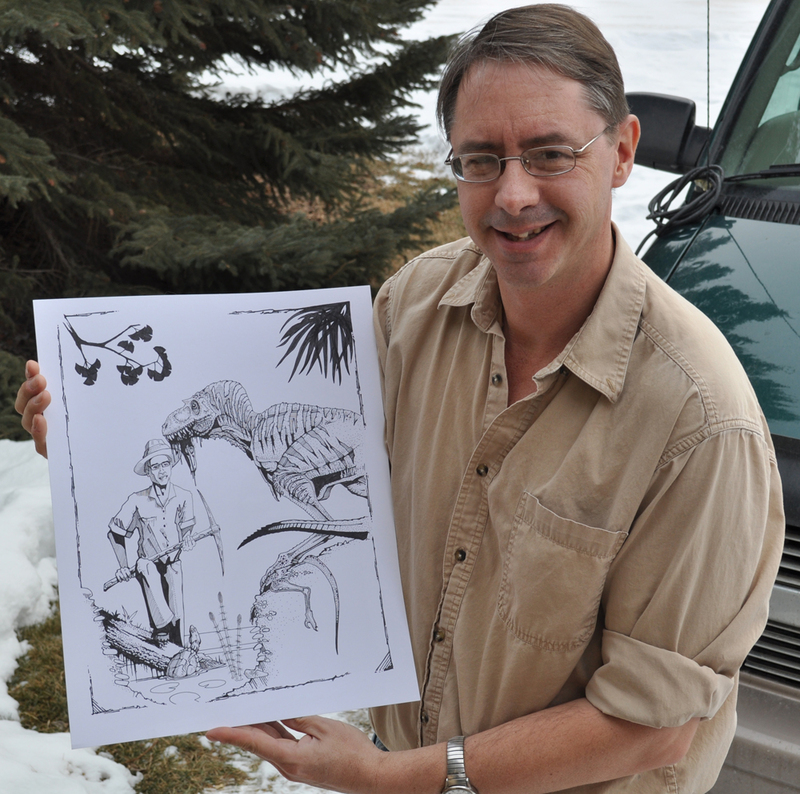 Birds, pterosaurs, big and small dinosaurs of all kinds, odd mammals and the rest. 4. 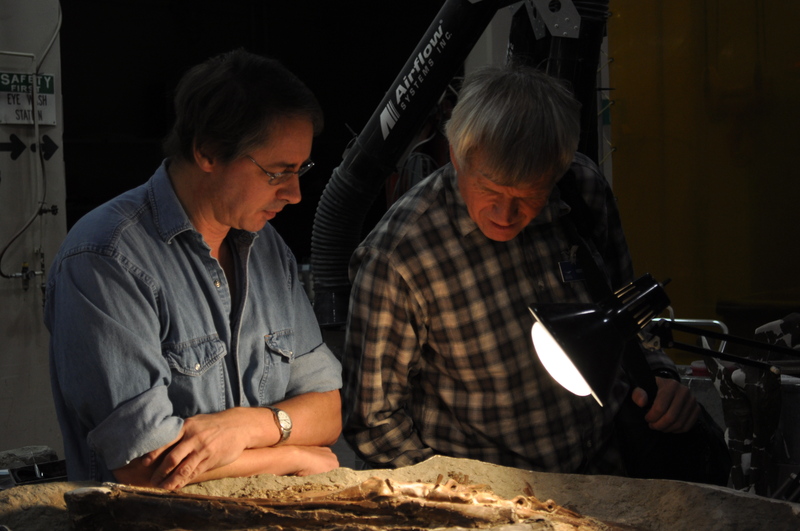 The pterosaur transition from rhamphorhynchoid to pterodactyloid. Obviously that includes Darwinopterus and the like, but what exactly happened here, did the head really go in one big chunk or did that take ages with various changes in sequence before the body played catch-up and what was the tail doing? 5. Quetzalcoatlus locomotion. Pure personal thrill on this one. I’ve been lucky enough to see wild condors at very close range flying around and it was absolutely incredible. I just must see something 3 times that size get into the air and cruise around. A natural history phenomenon. This post is a private / public admonishment of someone on the palaeo scene. It’s private because I won’t name names and draw public attention to him. It’s public because I’m doing it on the blog. (and in case you were wondering, I’m not mailing the person concerned directly because I have had several unproductive exchanges in the past and have deliberately severed all contact with them and have no wish to resurect that). It’s hard to tell if this is a misconception about taxonomy as it never seems to even be mentioned conceptually, but I suspect it is one, or at least is never even thought about. Taxonomy quite simply does not stop with the naming of a new species. While this is perhaps the most obvious, and arguably most important, aspect getting a new species named is just the start. Now I’m sure that most readers by now will be familiar with the various arguments about whether or not individual species are valid and genuinely different and the issues caused by different species concepts. However, the recent post on the problem with undiagnostic types masks a more serious issue. Even the best type specimen and a good solid description and diagnosis is often only the start of a species’ taxonomic identity and work for the taxonomist. Taxonomy never really stops. We’ll keep things overly simple but imagine we find a new species of a brand new mammalian family. It’s some kind of carnivoran with blue fur and giant fangs. That makes it nice and easy to diagnose – blue, big fangs. Then another new species turns up with is also blue and has no fangs, each is clearly different. But what happens now if we get a light blue one with no fangs and a darker blue one with fangs. These are still different, but our original definitions need to shift to take this new information into account. We can’t just go with ‘blue’ but need ‘light blue’ and ‘medium blue’ and ‘dark blue’. So not only do we need to be careful with the descriptions of our new species, but we also have to revise the definition of the original ones too. So even if they are valid taxa and have good descriptions and types, our definitions need to be corrected in the light of new information. Discovery of alternate colour morphs, tooth variation, other new species etc. will only add the need for more refinements. And this is why taxonomy never stops. All that new information from ontogeny, variation, new analyses (DNA, interbreeding, behaviour etc.) will help to redefine and refine a species’ identity, and new discoveries of new taxa will complicate this further. All of this must be weaved together correctly and that takes time, skill and a good understanding of the situation. Some surprisingly famous species have poor or out of date or problematic definitions and these only get more complicated as time goes on. Calling something Linheraptor or Limusaurus and everyone agreeing it is new is really the start, not the end. The blog has been quiet the last couple of days because I’ve been in transit / in jetlag for the last few days as I’m back in Beijing. However, I’m now more or less compus mentus and I have some nice new photos of various specimens from the exhibition halls so the posts will be picking up again and with some nice looking stuff. 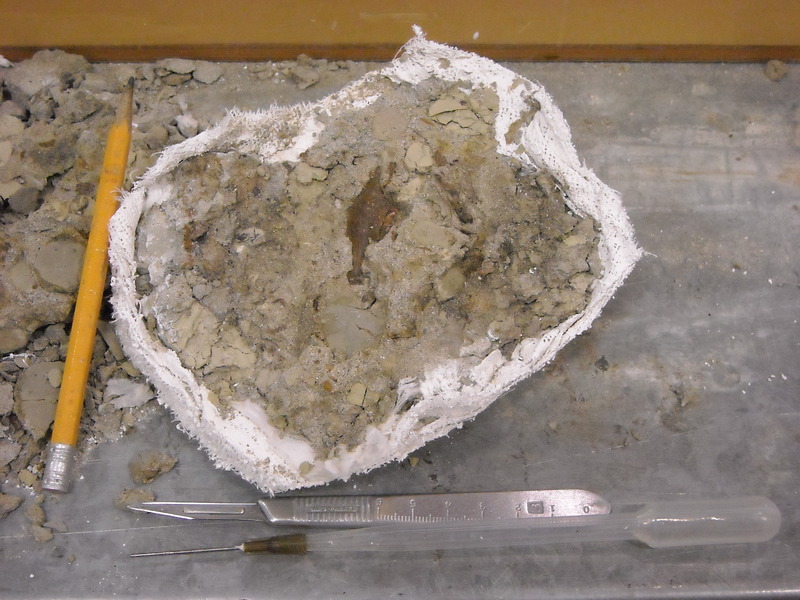 Stay tuned and in the meantime, enjoy the skull of the holotype of Sinopterus. 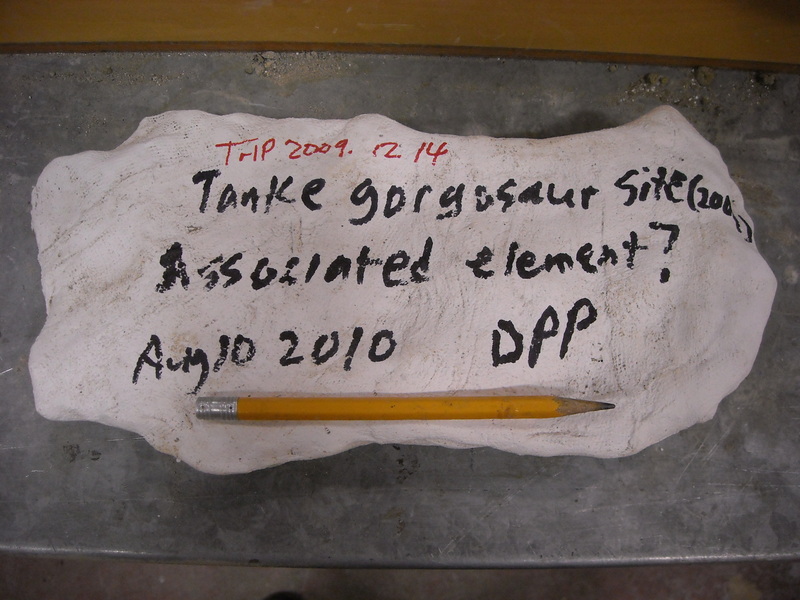 I have been less than brilliant at cross-linking all the various Gorgosaurus posts that have been running now since December and finished yesterday with Darren’s final summary and update. It seemed sensible then to have a final little round-up on here back linking to all the previous posts and giving a central repository for everything up to this point. I also want to use the opportunity to repost a few of my favourite images from the series which are scattered in below. Of course I also want to give huge thanks to Darren for all his work on this. 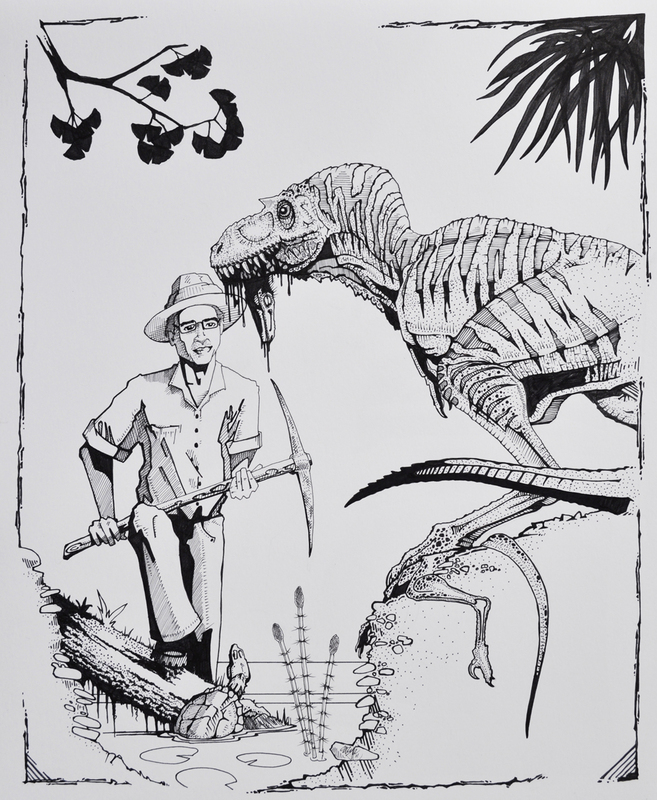 I’d originally conceived of the series of being little more than some nice pictures shows the rock slowly clearing to reveal the underlying dinosaur with a few notes on what was going on. Darren obviously has gone way beyond this with a huge series of detailed posts and documenting every step of the process and every little trick and tip he has going. My thanks too, to the Royal Tyrell Museum for letting us do all of this and stick this, as yet undescribed, specimen all over the web. 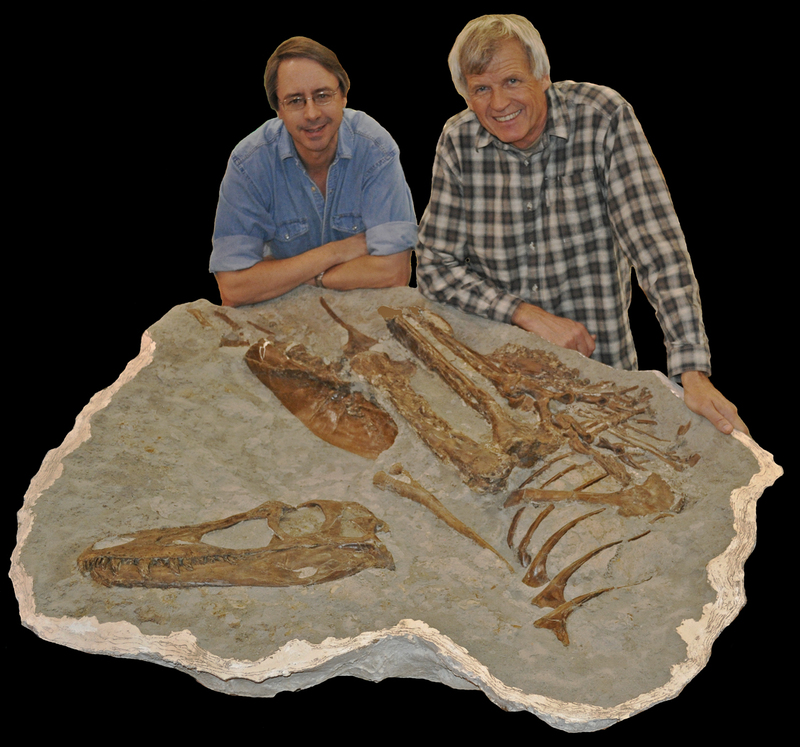 Descriptions of fossils generally include an opening line that comments on how complete the specimen is based on how much material is present. Statements like complete / nearly complete / mostly complete / some elements preserved etc. are all common. 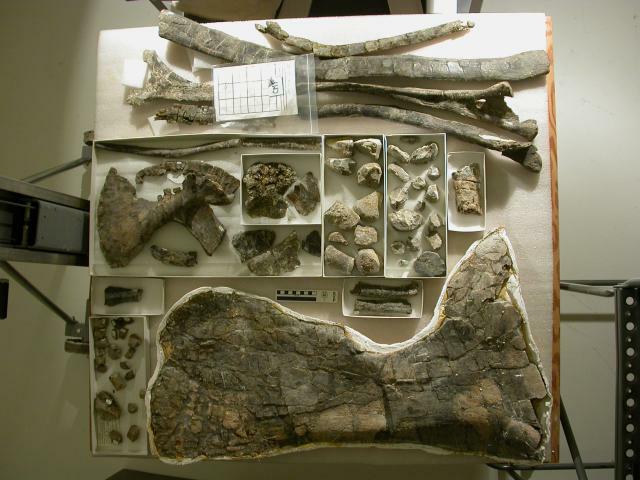 These are of course reasonable guesstimates based on what is there, in terms of the total numbers of bones that are present. 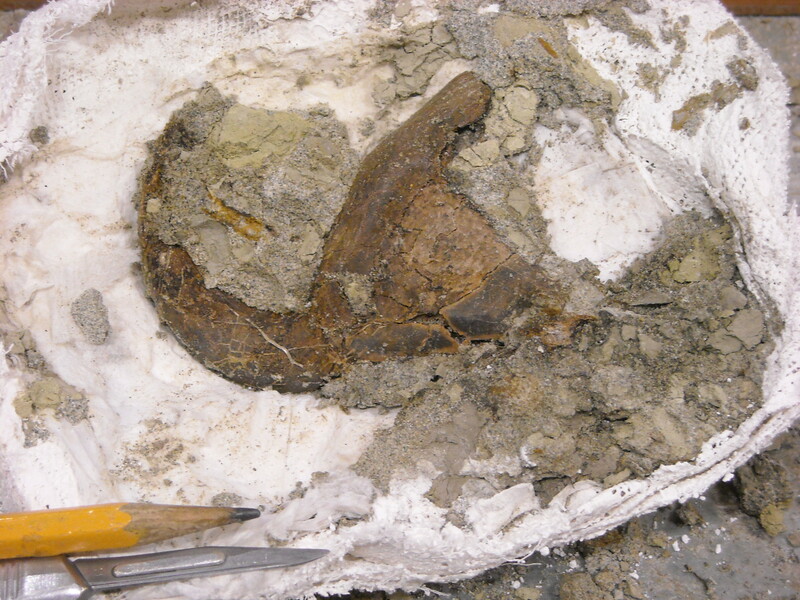 However, reasonable though this is, it is of course possible to have very significant numbers of bones of the skeleton be missing and still have an effectively complete specimen. Or to be more precise, to have all of the necessary anatomical information. After all, assuming you have one complete and articulated arm, the other one won’t actually tell you anything you don’t already know (even if it does make for a nicer specimen). You don’t therefore really need one hand and arm or leg and foot or for that matter half the pelvis or shoulder girdle. You can get rid of half the ribs and gastralia and, in theory at least, half of the skull too. In fact given that in most taxa the ribs, gastralia and chevrons are pretty uniform you could loose most of them without compromising any information. I reckon you could easily loose about 30% of the bones and write as full and accurate description as if you had 100%. 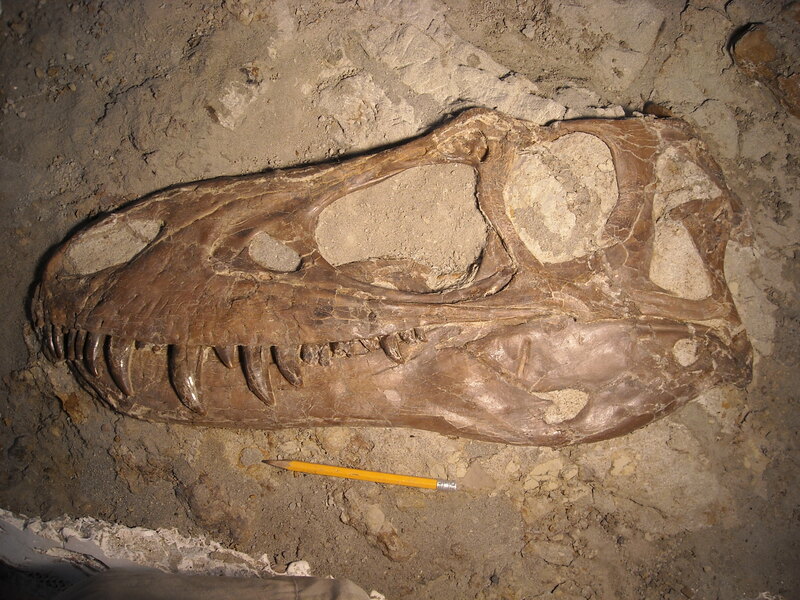 Obviously this is just a thought experiment, but it (might) show that a ‘nearly complete’ specimen that’s missing the skull, or both feet might not actually have as much information as an ‘only partially complete’ specimen. 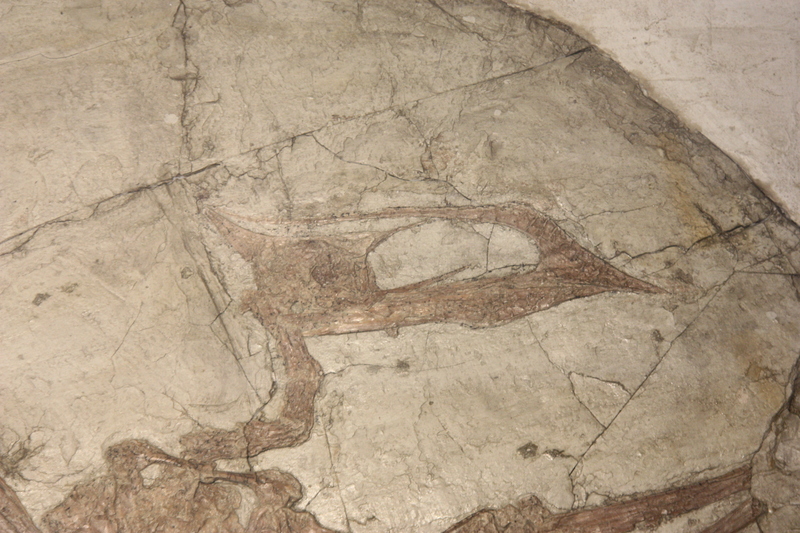 It used to be very common to see images of pterosaurs having from branches or cliffs with their toes rather like some kind of reptilian bat and this was, for a while, considered plausible or even likely in the literature. It also made it into the original Jurassic Park novel showing a remarkable degree of persistence. However, this has (just about) finally died out and for two rather good reasons. This is, hopefully, a pretty simple example of basic comparative / functional anatomy which is very useful for inferring behaviours and the habits of extinct animals. Animals that do hang upside down by their hands and feet are few and far between. The two obvious candidates are of course the bats, but also sloths. 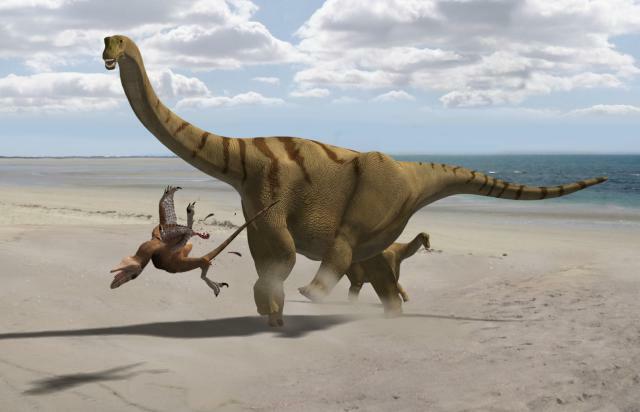 Both of these share a couple of features in common with their anatomy which are clearly distinct from pterosaurs suggesting rather strongly that pterosaurs were not hanging around in this manner. First off both of these animals have strongly curved and robust claws on their feet (and hands too for sloths) which can hook around object to provide them with the purchase they need. 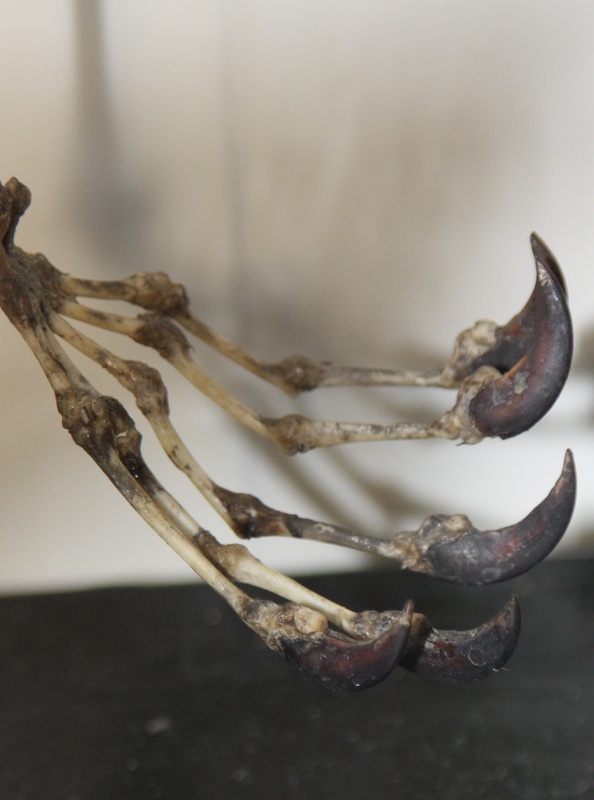 While some pterosaurs do have some rather big foot claws, these are not really in quite the same league as bats and sloths and the vast majority have relatively short claws with little curvature. 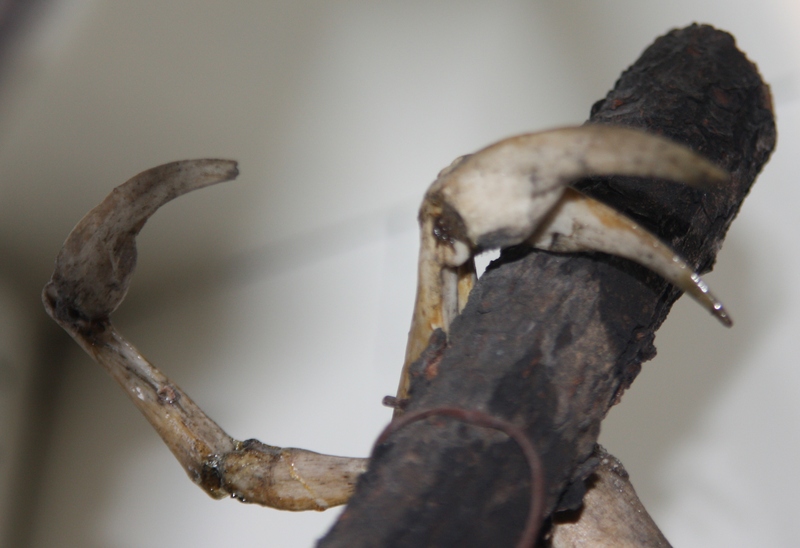 As an additional point, pterosaurs do have big and curved claws, but these are on the hands, not the feet. Secondly these animals also have toes that are all remarkably uniform in length unlike almost any other animal I can think of. This of course really spreads out the load of the animal across multiple toes / claws and doesn’t force all the weight onto just one or two and should give them a stronger and more reliable grip. While the fifth toe is huge in rhamphrhynchoids and massively reduced in pterodactyloids, the others are all fully functional and yet are always different lengths to each other, sometimes with quite dramatic differences. There is then no good reason to think that pterosaurs would, or even could, suspend themselves effectively upside down with any regularity. While I don’t think it’s been mentioned before their plantigrade foot posture might also be an issue. I’m not sure if they could quite straighten then ankle out to be in a straight line with the tibia and if not then this would put a lot of stress on the ankle and make this a difficult pose to hold, it’s not critical but I’d be intrigued to test that at some point.